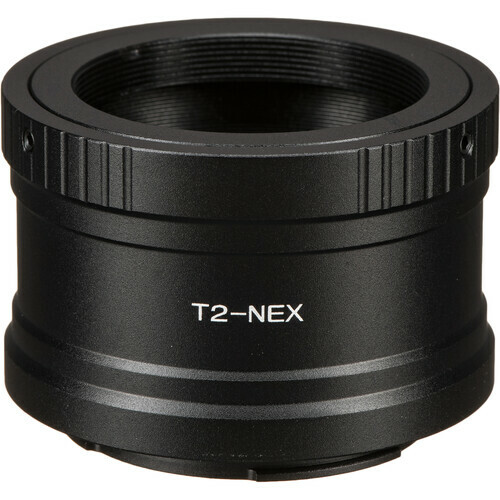 Pair the magnifying power and optical elements of a Hawke Optics spotting scope with your Sony NEX-E DSLR by using the DSLR T2 Digiscoping Camera Adapter. Its Sony NEX-E-style bayonet mount clicks onto your camera in place of a lens. You'll need a Hawke Digi-Scope Adapter, sold separately, to fit the eyepiece of your particular spotting scope. Attach the Camera Adapter to your DSLR, connect the Digi-Scope Adapter to the Camera Adapter, fit the Digi-Scope Adapter over the spotter's eyepiece, and you're ready to capture sharp images and video of distant objects and scenes.